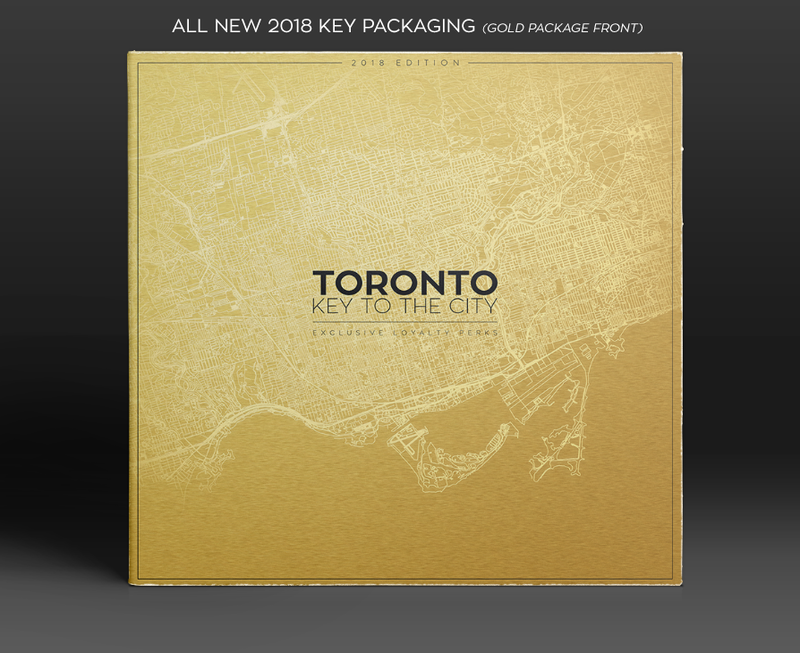 Very limited in numbers, the Toronto Key To The City will unlock more than ever with the best of restaurants, nightlife, spas, hotels, shops, entertainment and more for the entire year. Enjoy loyalty VIP unlike anything you have ever seen. Complimentary welcome drinks, appetizers, off-the-menu items, oysters and more at restaurants; Skip-the-line VIP access to the hottest clubs; Enjoy spa and hotel upgrades; Savings off tickets to shows and more. 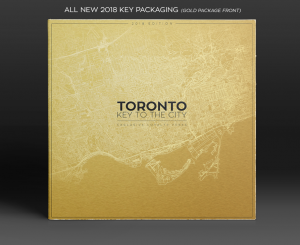 The VIP Toronto Keys also unlock 2 additional cities; Vancouver and Montreal. 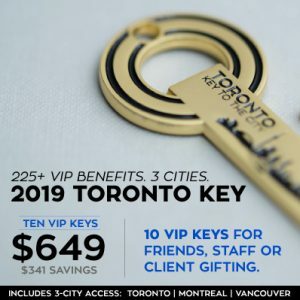 There’s no better gift than the VIP Toronto Key To The City. ** FYI: Each Key is registered individually so they make the perfect gift for friends, staff or clients. Save with the 10 Keys + 1 bonus Key for a limited time. This is a non-recurring product so it will not renew. * Ten (10) very limited-numbered, gold Toronto VIP Keys for gifting to friends, staff, clients or event guests to enjoy for the year. (Email us here if larger quantity required.). FYI: Each Key is packaged individually in its own separate case and registered to the recipient, uniquely, for ease of gifting. * Access to exclusive advance ticket sales, through Keyholder Dashboard 24/7, to CNE / Cirque du Soleil / Toronto FC / Raptors (up to 30% off select games) / Argos / Second City / The ROM / Ripley’s Aquarium + more. Save on all tickets to shows, events and sports entertainment as a Keyholder. * New VIP hot spots and benefits added every month in all 3 cities! * Grandfathered rate so your annual rate paid today will never increase, ever, as long as a renewed Keyholder member annually. Cancel anytime! * VIP special invites for Keyholders planned. BONUS: UNTIL FEBRUARY 28TH – One (1) Bonus Complimentary Key ($99 additional value) with every order of this package.